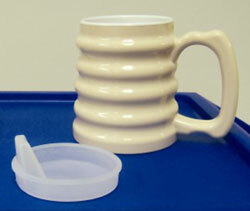 The Arthro Thumbs-Up Cup with Lid is remarkably functional. 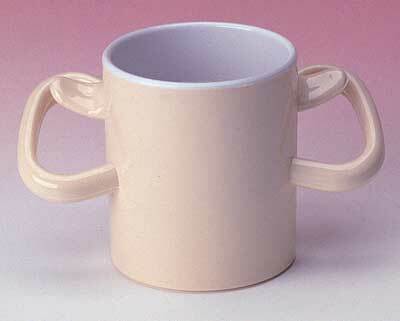 This lightweight cup was specifically designed for people who need to keep their wrist in a neutral position. The unique ergonomic design increases leverage of the hand and aids in raising the cup to the lips without wrist motion. The thumbs on grip reduces the possibility of spilling due to trembling. 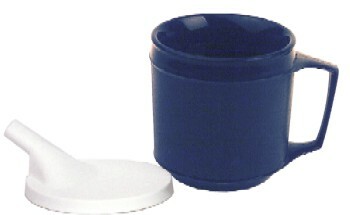 The cup is double walled to protect hands from hot or cold liquids. 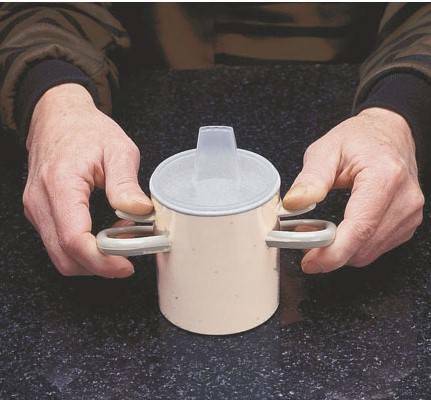 The Arthro Thumbs Up holds 8 ounces which leaves one inch of free space above the liquid to reduce spillage. Liquid ounce and metric measurements are marked inside of the cup. 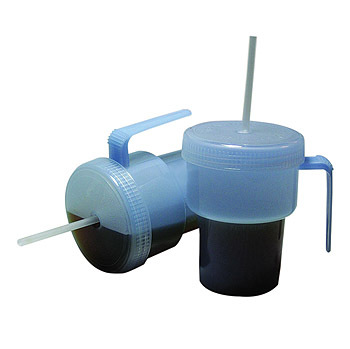 Use of the spout lid is optional. The cup is microwave and top rack dishwasher safe. Please choose carefully, this item is non-returnable.